There are a lot of nursing care activities that nurses do, either in the hospital setting or at their patient’s home, to ensure that they provide total nursing care to their patients. Nursing care often requires two or more nurses to get the job done or to get all the nursing care activities provided to their patient. A nursing schedule is needed to have this done effectively. In this article are nursing schedule templates in different varieties and formats to help you find the schedule template that you need. 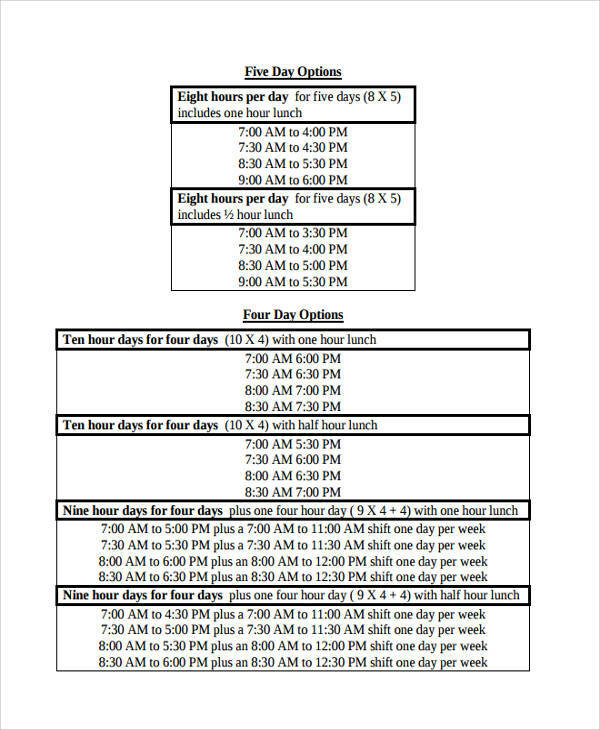 We have also included basic and useful information about nursing schedules, like what it is, its uses, and many more. You can check them out below. 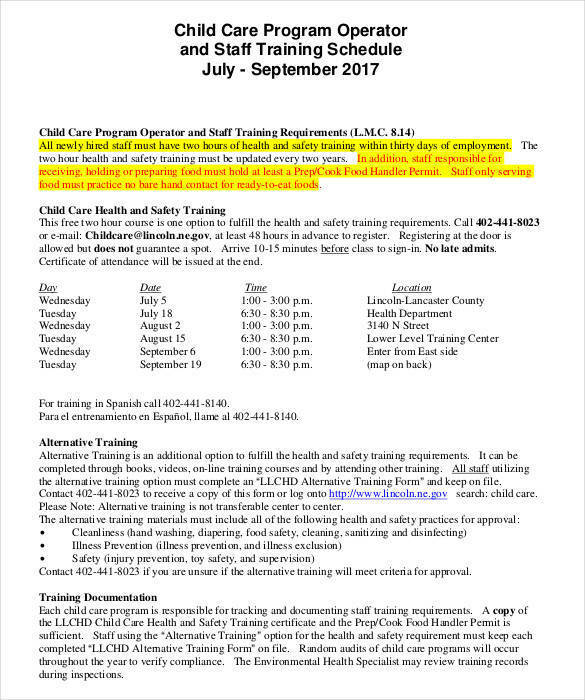 What Is Meant by a Nursing Schedule? A nursing schedule is a tool that is used to schedule the different nursing care performed by nurses to their patients to ensure that they get the right care they need to be able to recover and regain optimal health. The schedule shows the list of the different nursing care activities to be done, the names of the patients to whom they are performed and the nurses who are assigned to do the listed activities on specific times and dates. 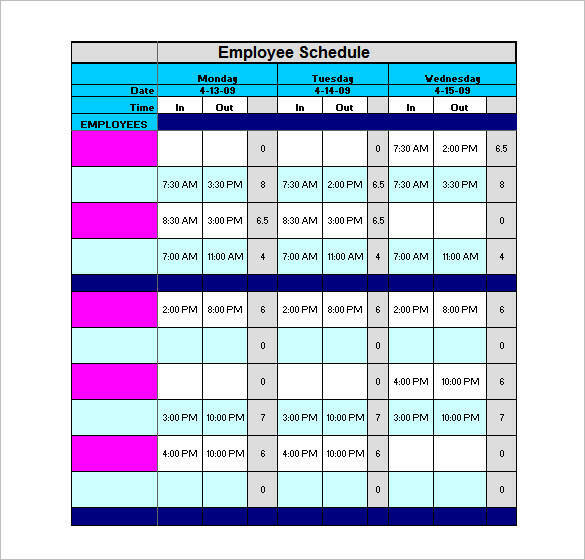 You may also see employee schedule samples. Not all nursing care activities are done at home and not all of these activities are performed by a nurse. Nursing care can also be done at home by any member of a family to take care of family members who are sick. It can be done by one or two people alternately. Some of the nursing care activities that are commonly done at home to make the sick feel better are doing a sponge bath, helping or assisting them with any movements, help them eat, ensure that they take their medications on time, and many more. Other schedule-related topics that you may be interested in are leave schedule samples and templates, job schedule samples and templates, and lunch schedule samples and templates. What are the Uses of a Nursing Schedule? The following are the uses of a nursing schedule. 1. A nursing schedule is used to list down all of the activities that nurses need to do at work to ensure that they get things done based on the schedule. 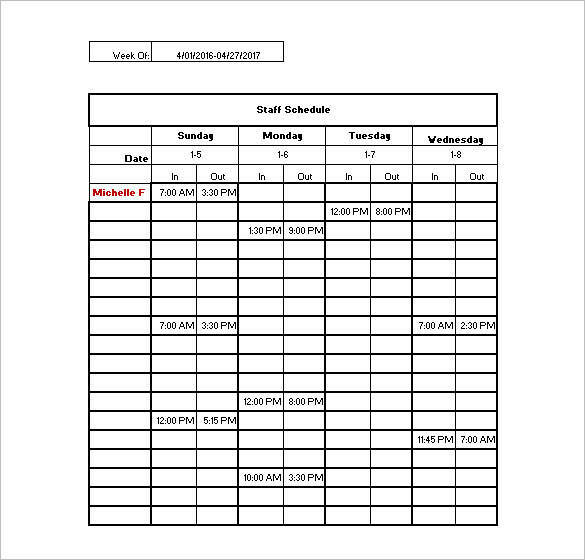 You may also see sample work schedules. 2. It also helps determine which nursing care activities the patients need and when they need it to help them regain their optimal health and get back to their normal lives outside the hospital. 3. It is used to assign certain activities to each of the nurses or to a group of nurses in the hospital facility for a given period of time. 4. Every nursing care activity that is listed in the schedule is assigned with a specific time and date when they should be performed and how often they should be performed. You may also like conference schedule samples. 5. The schedule is used to determine which nurse did what nursing care activities and track if those activities have been done already. 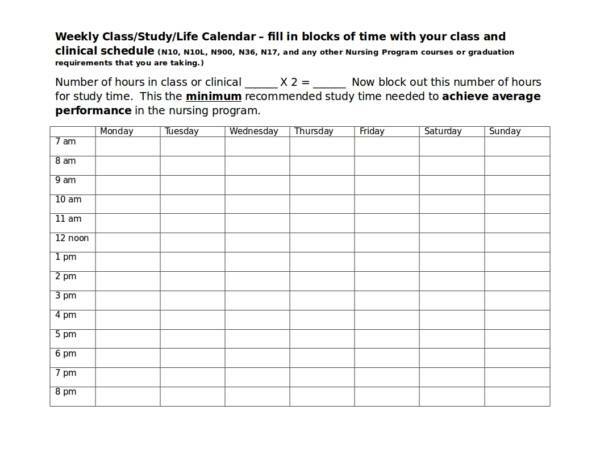 You may also check out other schedule-related topics offered on our website, like travel schedule samples and templates, office schedule samples and templates, and homework schedule samples and templates. What are the Nursing Activities that Nurses Do? Nurses do a lot of work in the hospital, from patient care to paperwork. The following are the activities that nurses commonly do in hospitals on a daily basis. Bedside care when needed, like doing tepid sponge bath, assisting bedridden patients to move or change positions, etc. More schedule-related topics are available on our website, like assignment schedule samples and templates, volunteer schedule samples and templates, and weekly tasks schedule samples and templates. There are a lot of things that you can do with the use of templates and one of them is a nursing schedule template. Knowing about the advantages of nursing schedule templates will help you utilize the tool even better. Let’s learn more about them with the list provided below. You may also see sample project schedules. 1. 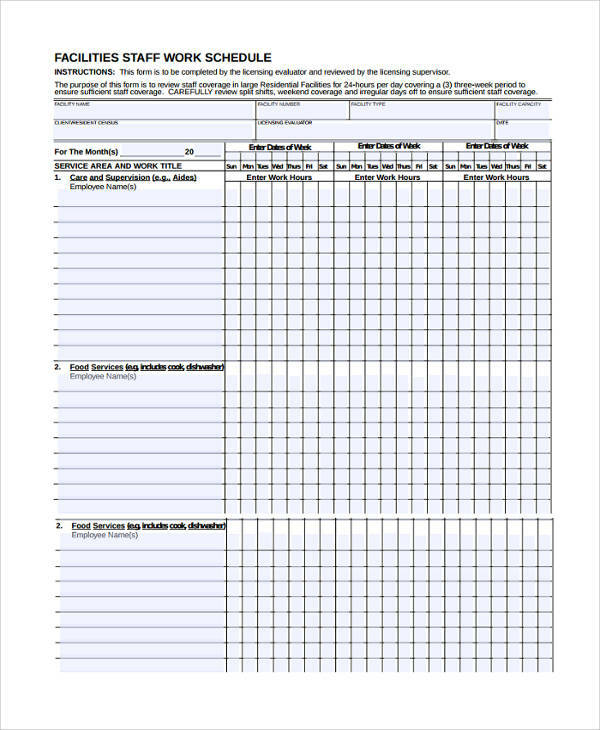 Nursing schedule templates provide an easy and convenient way for anyone to do the scheduling of all the nursing tasks that need to be done by all the nurses in the hospital setting. 2. 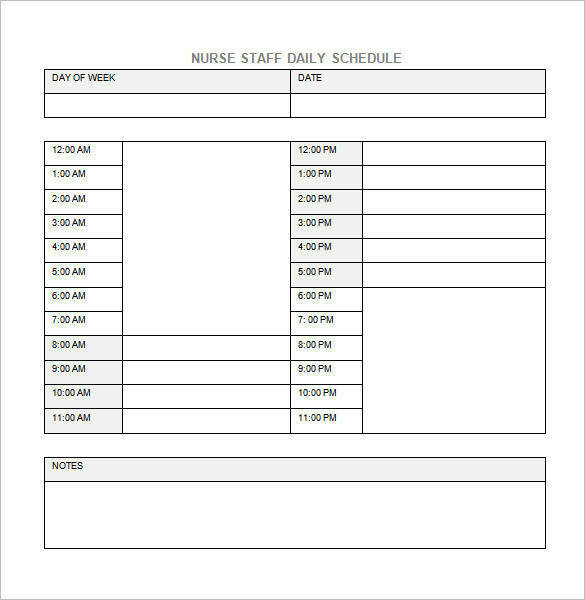 Nursing schedule templates provide a complete set of important information that must be included to ensure that the schedules plotted will work effectively. You may also like appointment schedule samples and templates. 3. The templates provide a framed layout that makes it easy to separate contents and information. 4. Allows for an organized schedule plotting and a clean sheet or document that can be understood by all the nursing personnel who uses it. 5. 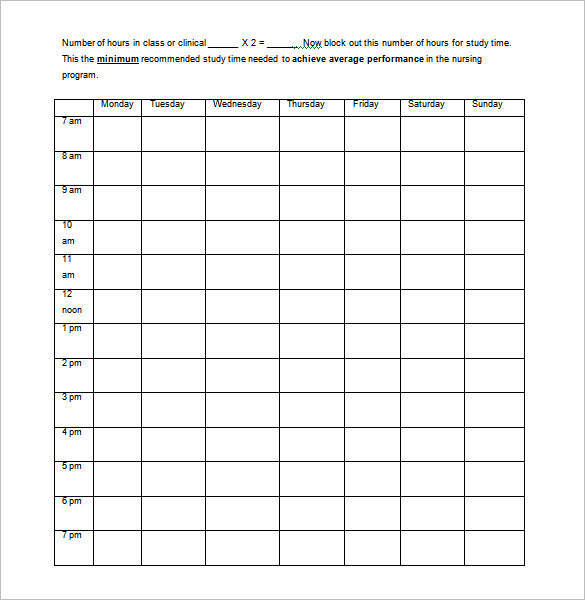 Using a nursing schedule template helps save time, effort, and resources. All you need to do is fill in the blanks or supply the required information to have it completed. 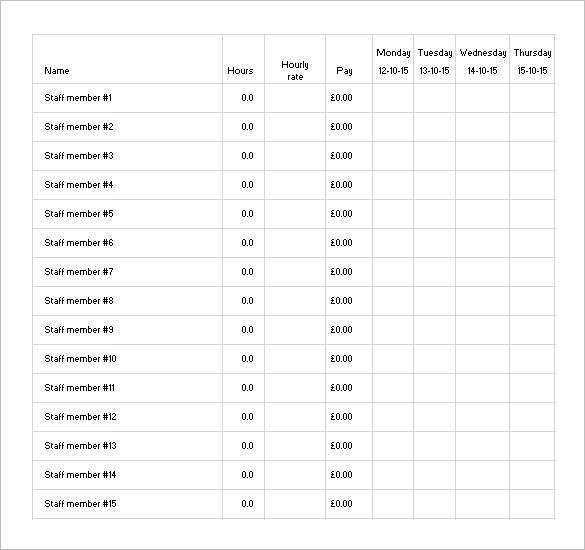 You may also check out audit schedule samples and templates. 6. The templates can be easily accessed and downloaded online. In addition, there are different formats that you can choose from including those that are provided in this article. 7. The templates can be easily edited or changed to fit one’s needs and preferences. 8. 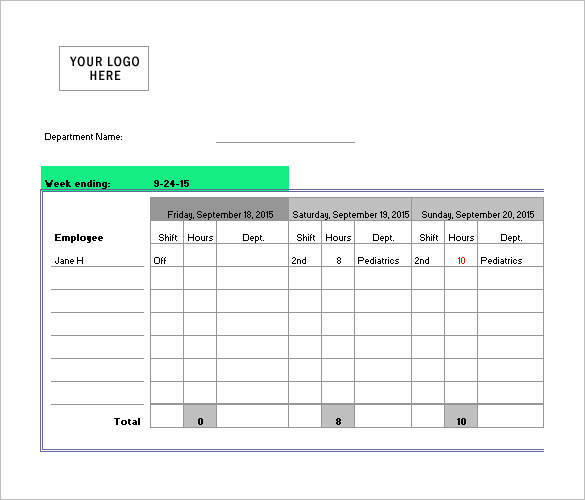 Nursing schedule samples can also be used as one’s own template simply by editing or changing some of its parts. We hope that you are able to find this article useful. To learn more about schedule templates, you may check out different schedule templates used for different purposes. Some examples that you might find interesting are staff schedule templates, weekly chore schedule templates, and construction schedule templates.